As you might have already guessed, we’re quite fond of pink over here at PC HQ and it seems that quite a lot of charities are too. Some of the world’s leading charities use pink as their brand identity – I’m sure a few instantly spring to mind (which obviously means pink was an excellent choice) – so we thought we’d take a look at just a few of the pinkiful charities out there and admire their work as well as their pinkness. Cancer Research UK, the world’s leading charity dedicated to beating cancer through research, puts its own spin on the famous pink ribbon. Did you know that the pink ribbon was first used in connection with breast cancer awareness in 1991 by the Susan G. Komen Foundation, when ribbons were handed out to participants of its New York City race for breast cancer survivors. The next year, the pink ribbon became the official symbol of National Breast Cancer Awareness Month, which still runs every October. Supermarket giants ASDA also take part in some pink ribbon action with a cleverly placed P-shaped ribbon on their pretty logo. 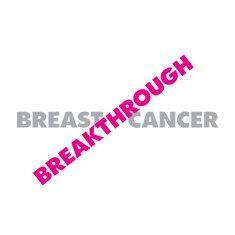 The campaign supports Breast Cancer Care and Breast Cancer Campaign (see above) and raised a brilliant £4.2 million in 2011. 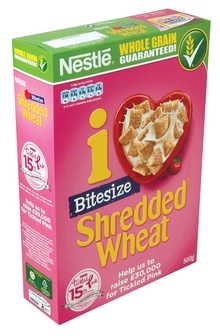 ASDA even turned some of our favourite groceries pink for Breast Cancer Awareness Month last year, including Shredded Wheat, Tropicana and I can’t believe it’s not butter! And it’s not only breast cancer charities that are in the pink – our Facebook friends at Pink Car Rally take our two favourite things (pink and cars, in case you were wondering) and invite pink car owners to raise money for the Little Princess Trust (which helps children suffering hair loss due to cancer treatments), just by driving their car! It’s quite amazing what a little bit of pink can do to help save lives. I hope this inspires us all to do our bit for charity. Think pink. This pink car post was added on Monday, April 30th, 2012 at 5:56 am, filed under Pink Cars Comparisons, Pink Charities, Uncategorized. You can leave a response, or trackback from your own site.